Jerry touched all of our lives in so many ways. Share your thoughts, remembrances, words to the family or stories of how Jerry touched your life. Jerry, thank you for be with us in the Classroom even when 1000 of miles were between us, you touched all of us. I will never forget your Humor – and i’m sure, you will find a funny way to let us know, that you are still here and with us. I wish the Kein Family only the best in this sad and dark time. The sadness can be somewhat mitigated knowing that his legacy lives on in every OMNI grad thanks to Hansruedi J Wipf. We join you in remembering the best times and vow to carry on the torch. Thanks Jerry. You have been a significant person on my hypnosis and my life path. Thanks for all. Be well wherever you are. Du hast uns so viele Türen geöffnet; Mut gemacht und bist immer deinen Weg gegangen! Herzlichen Dank für deine Visionen und dass du sie geteilt und uns allen weiter gegeben hast! Jerry was my neighbor in Deland, FL for three years from 2006-2009. He was a funny, genuine man, full of life. I’ll never forget his yellow SMART “shark” car. He will be greatly missed. Godspeed, my friend. Rest in peace Jerry. Whereever you are, we will never forget you!! I never ever met you, but you inspired me in many ways! Someday, we will all meet us again! You will be missed. ich danke Dir dafür dass ich Dich kennen lernen durfte und dass ich von Dir lernen durfte. Für mich warst Du ein großartiger Hypnose Ausbilder und ein sehr warmherziger und sympathischer Mensch. Unsere Begegnung war für mich sehr bereichernd und ich denke gerne an diese schöne Zeit zurück. Ruhe in Frieden. Jerry, you taught us “The progress is made when the great master passes away.” Though we didn’t expect this to happen so soon, now is the time for us to take your legacy and take it to the next level. I miss you a lot, but funny, as I try to remember you, you are always smiling and making jokes, which make me smile also. Hope where you are right now is somewhere better than Cleveland. Love you, man! Ich konnte dich leider nie persönlich kennenlernen und doch hast du mein Leben nachhaltig positiv verändert. Vielen Dank dafür, von ganzem Herzen! Danke für dein wunderbares Vermächtnis dass du mir, uns allen, hinterlassen hast!Dein Geist wird in mir und uns allen dadurch weiterleben. Ich kenne dich leider nur durch deine Ausbildungsvideos , doch ich bin dankbar um Menschen wie Dich, die soviel Heilsames in die Welt bringen. Schön , dass Hansruedi dein Werk weiterführt. Und immer mehr mit Hypnose arbeiten … Gutes Sein Dir. Sadly, I’ve never had the opportunity to meet you in person. But your charisma, paired with your exceptional wisdom about hypno-therapy and your authenticity have gotten a hold of me and move me deeply in this hour of loss. Infinite thanks for your ground-breaking professional inheritance, which I will continue to pass on to the best of my ability and knowledge. In mourning, one of your OMNI-successors. Jerry ruhe in Frieden. Wir wünschen deiner Familie und Freunden viel Kraft in der schweren Zeit. Dein Lebenswerk wird weiter geführt und wir sind dankbar dass wir es erlernen durften und sind sehr stolz darauf. 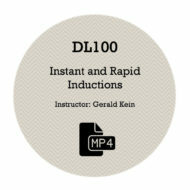 Gerald Kein was among the greats of hypnosis. I was in shock last night when I got home to hear of his passing. 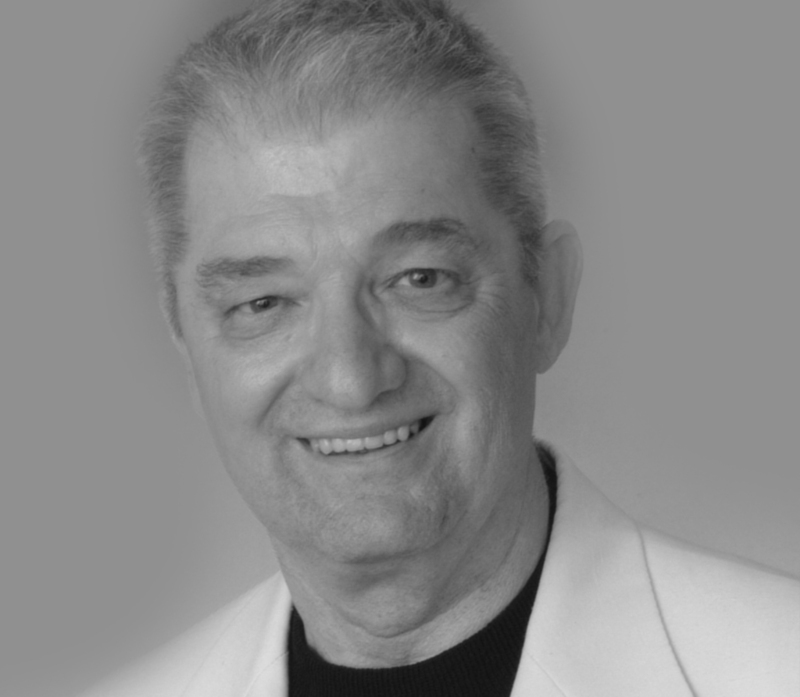 He taught many of the hypnotist practicing all over the world today, and in doing so has helped many thousands of clients. He was a kind, generous man .. always going out of his way to help wherever possible. He changed the face of hypnosis and his hypnosis family will remember the man and his teaching forever. I’m privileged to be one of his ‘Hypno-junkies’. May you rest in piece jerry. Thank you so much for all you shared so generously with so many people all over the world! May you be cradled in the arms of your Father! I pray for you and your family! Such a great, giving man! I am so glad I ever met you and got to work with you once! He got me to offer home study NLP and brought me into Omni to teach NLP, the only NLP taught there…. Great guy and dear friend…. Lieber Jerry auch wenn wir uns nicht persönlich kannten, hat sich mein Leben durch dich und das was du wunderbares in diese Welt gebracht hast verändert. Du hast die Welt bewegt und ich wünsche dir eine gute Reise in das andere sein und sei dir gewiss hier werden ganz viele dein wundervolles Vermächtnis weiter führen. Eine besondere Seele wir über uns wachen. Danke für all das was du an uns alle weiter gegeben hast. Uncle Jerry you always made me laugh and enjoy life when I was around you…my only regret is not being in your presence as often as I wished. What an incredible life you lived and what a great legacy you leave behind. You will be greatly missed and always loved and cherished. Rest in peace dear Uncle. After a hypnotist helped me solve a homicide case I decided to become a hypnotist. Searched for best training in the world and was directed to Omni Hypnosis Training Center in Florida. Began training with Gerry in 1999 including an internship with Omni and never looked back. One of my proudest moments was to receive by him the first ever Gerald Kein Omni Hypnosis Excellance in Hypnotism Award in 2015. Thank you my friend, my mentor, rest in peace. I love you man. Lieber Gerry, auch wenn es so traurig ist,Du hast Deine letzte Reise angetreten. Deine Aufgaben hast Du immer mit Bravour gemeistert. Gerne erinnere ich mich an unsere persönliche Begegnung am Kongress in Zürich, wo Du uns so viel vermittelt hast, vieles war für mich,damals Neuling, schwer verständlich. Durch das anwenden und arbeiten mit den OMNI Methoden bin ich aber sehr schnell ins Tun gekommen und freu mich tagtäglich über alles was wir erreichen. Du wirst auch in der geistigen Welt immer gut zu tun haben…Als Therapeut oder Humorist..
At the beginning of my career, Jerry was an absolute inspiration.I really loved his humorous, no-nonsense style of teaching hypnosis. One could tell immediately that Jerry’s focus was on really helping people in the most powerful, impactful way. It is nice to think of all the thousands of lives this man touched, and the ripples of goodness he sent across the world. God bless, and thank you, Jerry! Thank you, Jerry, for being such a wonderful instructor and force for good in the world. Early on in my career, you were an inspiration–a ‘no-nonsense’ teacher who really knew what they were talking about and who cared deeply about helping people. I loved your straight-forward, committed way of teaching. It is nice to think about the untold thousands of lives you touched in a positive way and the ripples of goodness you sent across the world. God bless you, and may you find peace and love in the next world. I THOUGHT I was a hypnotist. Then I met Jerry Kein. This man made me a REAL hypnotist!!! Jerry will be missed by myself and many other. I first met him at the NGH convention and was immediately impressed with his knowledge and his desire to share it. You have our condolences. Lieber Jerry, wie vielen Menschen hast du wohl geholfen, auf ihrem nachhaltigen Weg zur Veränderung, zur Genesung? Und so vielen Menschen hast du neue Perspektiven in ihrem beruflichen Alltag gegeben, hast neue Wege aufgezeigt, Sinn gestiftet, in dem, was wir täglich tun. Und auf einmal macht alles viel mehr Freude! In jeder Sitzung bist du präsent und gibst Rückhalt. Ich weiss das sehr zu schätzen. Möge dein Lebenswerk in Würde und mit Achtsamkeit weiter getragen werden. I want to thank you for the great example you was. rest in peace! I’m so sorry to hear of Jerry’s passing. He was a great hypnotist instructor, and he changed so many lives for the better. I’m a better person for having known him. I remember a very uncharacteristicly defiant Jerry. When we were standing in the vendor Booth room at the NGH annual convention … Jerry said … as he pointed around the room … Do you know when hypnosis will come out of the Dark Ages? When all of these people are gone.
. Jerry had a very sarcastic dry wit …. but it was just one occasion where he seemed Dead series. Thanks Jerry, for developping hypnosis, for spreading it to regions and countries to help more People. Thanks for the systematic and the ideas that i learned from courses of OMNI. Thanks also to your family supporting you. Best wishes. I was hoping to meet you one day. Sadly, it will not happen. I have learned a lot from you. You are one of a few, who made this world better place for living and influenced thousands of others to do the same. You have changed my life even though you did not about my existence. Maybe you are smiling at us all from an utlra ultra height. You will be alive in my heart. Forever. Rest in Peace. leider habe ich es nicht geschafft, Dich persönlich zu treffen und kennen zu lernen. Dafür hast Du es geschafft, Dich mit Deinem Namen auf meinem Zertifikat zu verewigen. Ich trage dieses Zertifikat mit Stolz sowie Ehre und werde mich immer wieder gerne an den Gründer der OMNI Ausbildung erinnern. Für Deinen Einsatz, Menschen weiter zu bringen und ihnen zu helfen sowie Dein Wissen weiter zu geben gibt es kein anderes Wort als: DANKE!!!!!! Before meeting Jerry I had met Steve Parkhill, I asked him if I should bother taking the course from that guy, Jerry Kein; of course, he said. Twenty years it’s unquestionably the reason I’m still here; thank you, Jerry. Jerry, thank you for how you changed my life during this existence. While I’m sad that you are no longer physically here, I’m looking forward to when we meet again on the next go-around. Love and gratitude!